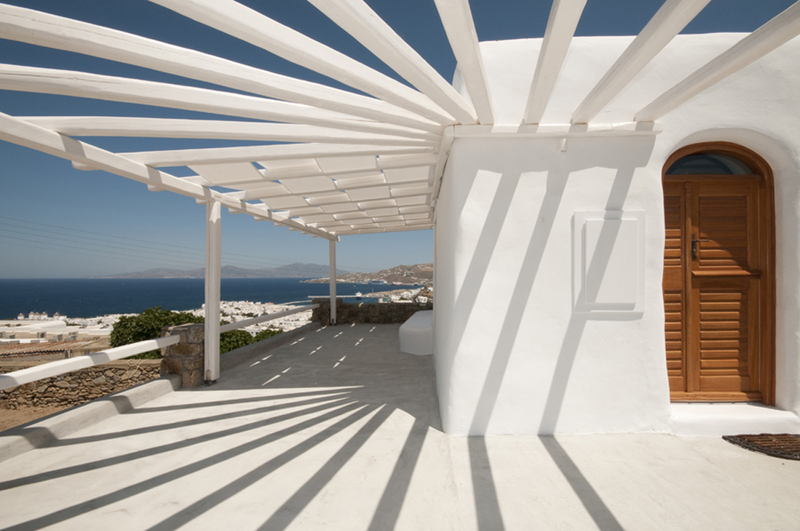 The Mykonos Town Apartments Xydakis are two separate hotel villas for rent that are comprised of services apartments, both located in Mykonos Town, one in the School of Fine Arts region and the other on Kounoupas Hill. Most people define Mykonos as an island of never-ending entertainment, unlike any other in the world. Mykonos is most well-known for its stimulating nightlife, traditional Cycladic characteristics and long sandy beaches, making it one of the most popular tourist resorts, but it also possesses impressive archaeological and historical sites as well as peaceful seaside and countryside settlements for a more relaxing vacation, rendering it one of the most enjoyable and most versatile holiday destinations in Greece. Situated on the western side of Mykonos Island is the capital of the island Mykonos (Myconos) Town (Chora), which is considered the most cosmopolitan tourist resort of the Greek Islands. Mykonos Town is a region that combines modern lifestyle and exciting nightlife with traditional Cycladic characteristics such as its trademark windmills, whitewashed houses and cobblestone alleyways. Mykonos Town never sleeps as it is bustling all day and night with thousands of lively tourists and locals that are simply having a great time.